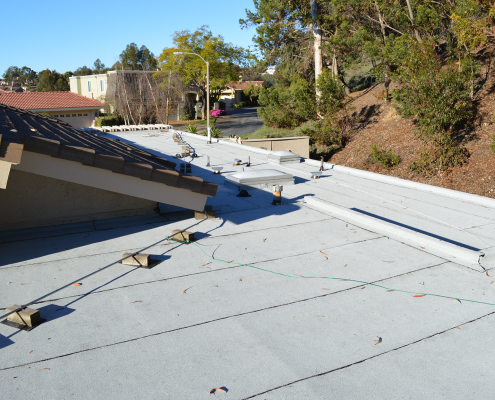 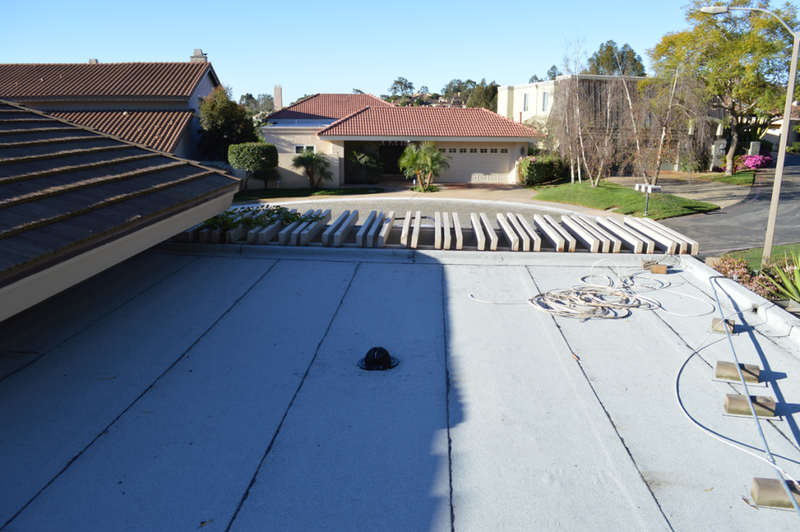 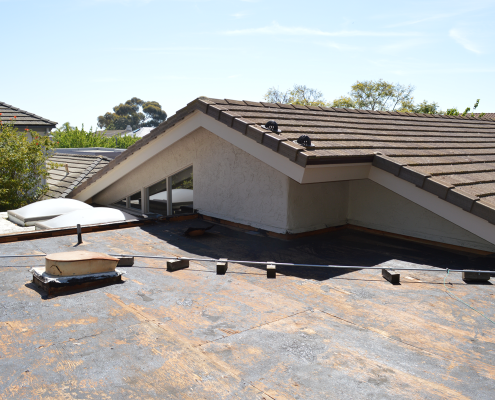 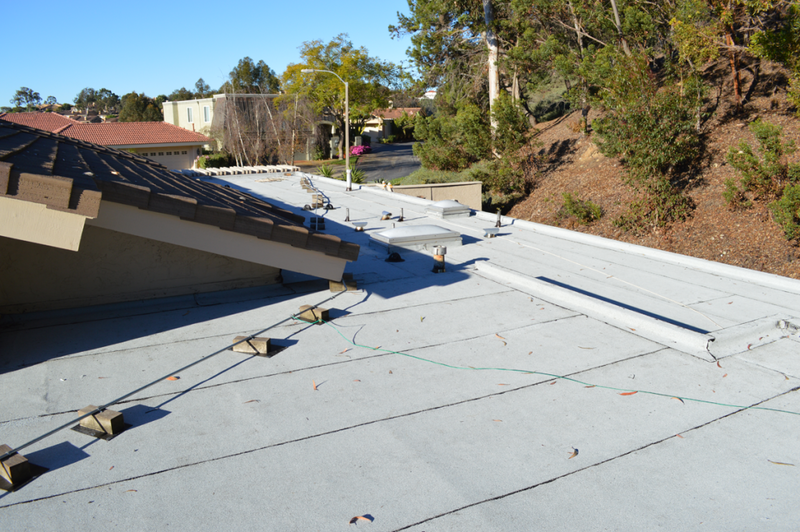 This roofing project was a flat roof installation with small parapet walls and bowl drains to catch water flow. 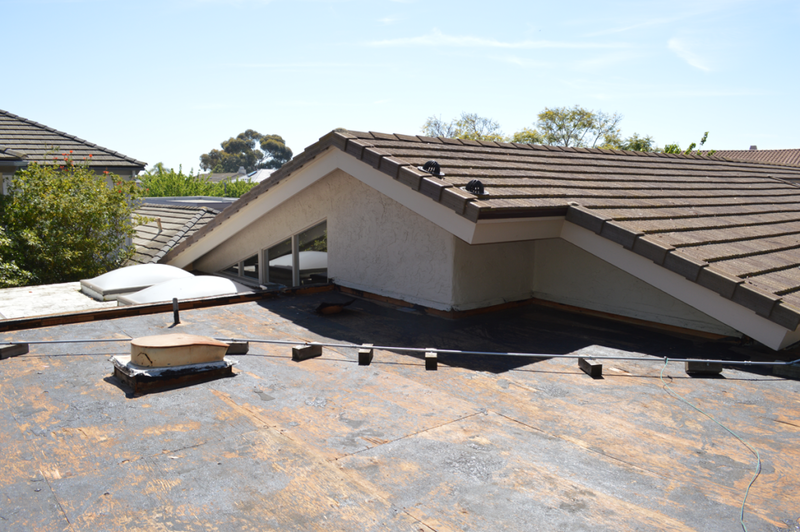 The existing roof was a torch down roof system that was 12-15 years old and was showing major cracking and breakdown of the material. 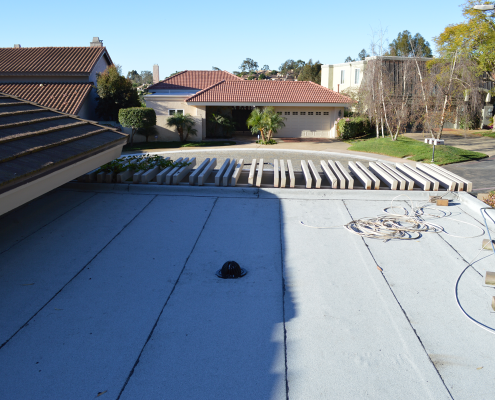 The main problem with this roof was that the previous roofing company did not heat the seams or field enough. 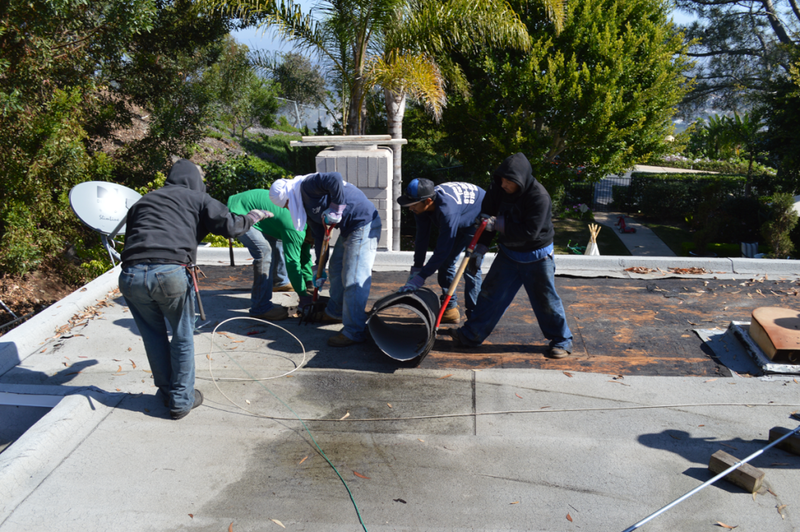 When you have a low slope roof you have chances of standing water. 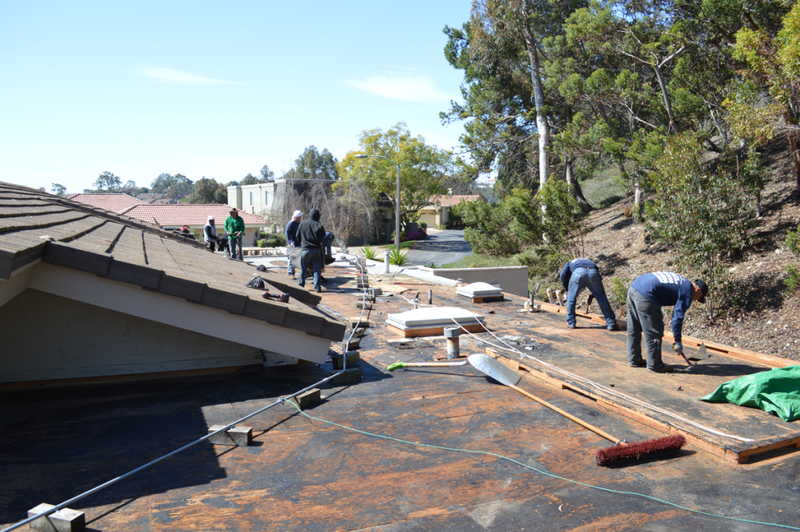 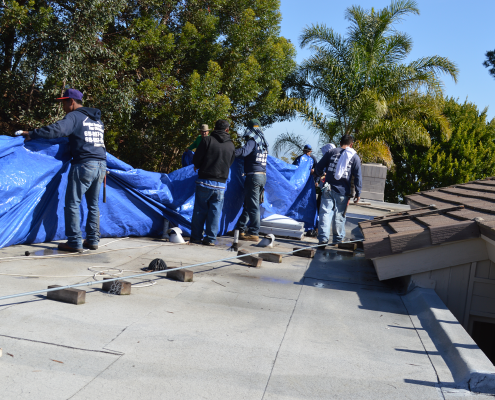 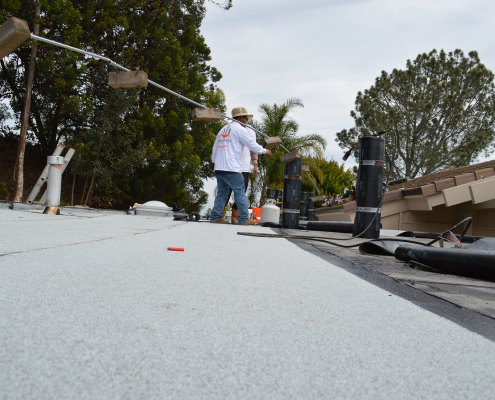 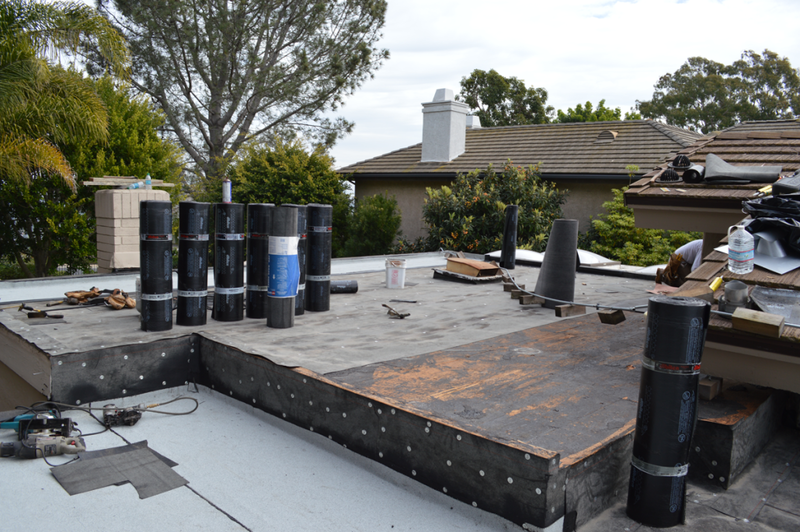 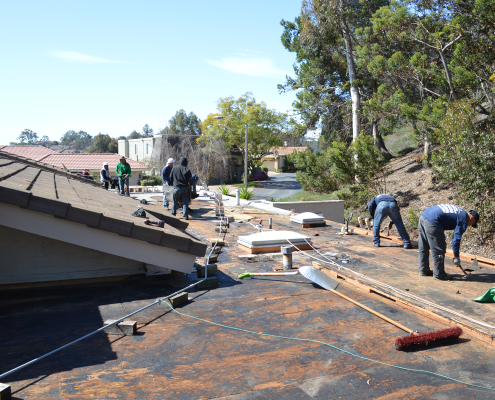 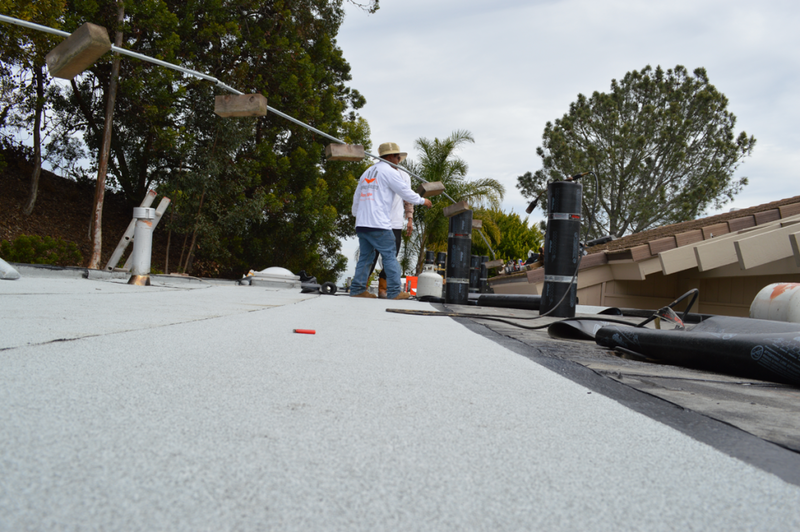 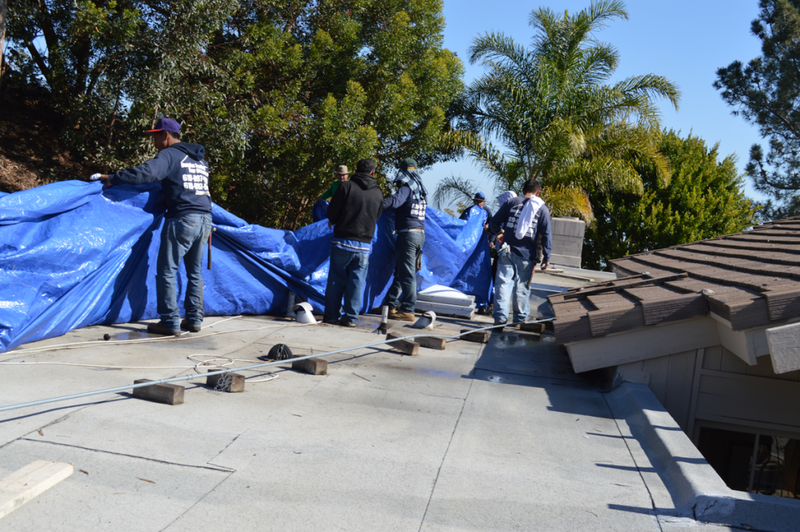 Roofing Specialists of San Diego wants to see ¼” of flow on all of our seams to ensure a visual knowledge of proper welding. 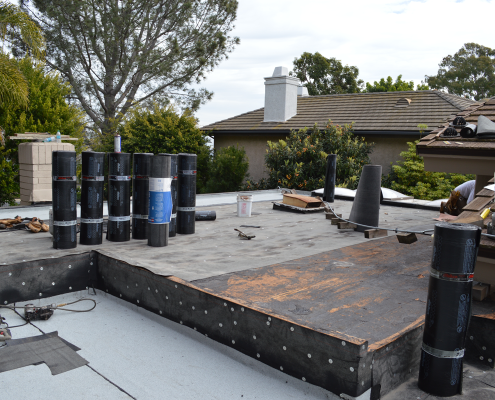 We choose to use Johns Manville’s Dibiten torch rolls. 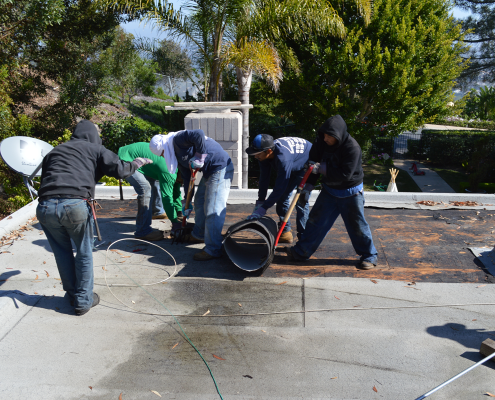 Dibiten is a superior APP modified bitumen membrane reinforced with a high quality nonwoven polyester mat and is one of the finest heat weld applied modified bitumen membranes ever produced not only for residential but for commercial and industrial flat roofing as well.